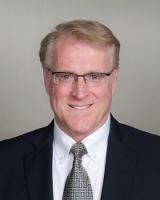 Mac McKeen has over 25 years of experience in the medical device industry in regulatory and quality roles focused on the development, clinical study, and regulatory approvals of cardiovascular devices and is currently a Fellow at Boston Scientific with previous leadership roles at Guidant, Medtronic, St. Jude Medical, Cardiac Science and Phillips Medisize. He also serves as an Adjunct Professor at the University of Minnesota instructing a 4000 level course on medical device development and is also a Faculty Director within the College of Continuing and Applied Professional Studies and is a member of the UMN Medical Device Innovation Graduate Degree program. He is actively involved in advocacy and collaboration with the FDA through industry associations including AdvaMed, MDIC and Medical Alley. He holds a BS in Industrial Technology from Iowa State University and an MBA from the University of Dallas and is RAC certified.